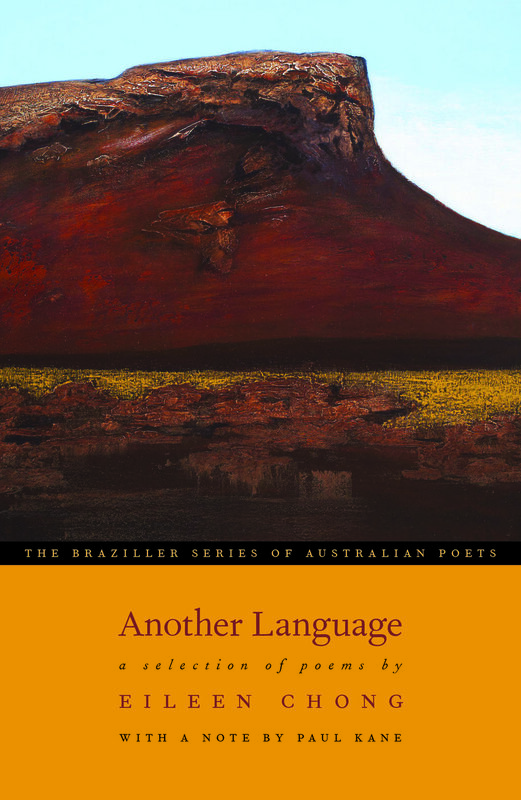 The only program of its kind, The Braziller Series of Australian Poets is an invaluable introduction to the world of Australian poetry. Begun in 2013, this groundbreaking series presents five major Australian poets in uniform editions, with other editions forthcoming. Series editor Paul Kane has contributed a comprehensive critical introduction to each volume, assessing the poet’s work and placing it within the broader context of Australian literature. Kane, a Professor of English at Vassar, is considered one of America’s pre-eminent scholars of Australian poetry and is co-editor, with Harold Bloom, of Library of America’s EMERSON: Collected Poems and Translations. The accessible volumes in this series provide an essential window into the vital world of Australian poetry. Another Language is stirring lyrical poetry demonstrating the breadth of Chong's accomplishment. Infusing her work with strands of experience, memory, and language linked to her Chinese heritage, she in turn, creates a new way of seeing and being Australian. Chong’s poems express “a poetry of feeling, rendered in luminous detail and language, alive to the sorrows and joys of daily living” (Kim Cheng Boey). Eileen Chong is the author of three collections of poetry, Burning Rice, Peony, and Painting Red Orchids, which was shortlisted for the Victorian Premier’s Literary Awards in 2017. Born in Singapore, she immigrated to Australia in 2007 and currently lives in Sydney. 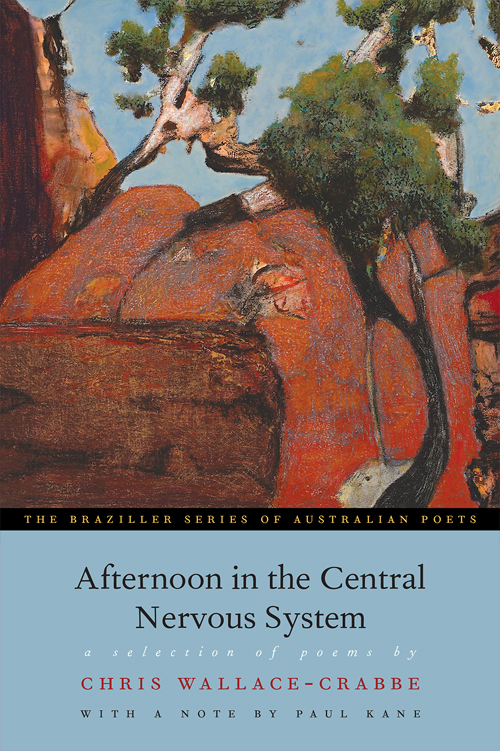 Afternoon in the Central Nervous System is a rich culling of a remarkable body of work, built up over sixty years by a poet whose writing has been instrumental to the evolution of contemporary Australian poetry. By turns philosophical, comic, elegiac, and witty, Chris Wallace-Crabbe (1934-) has forged an utterly unique voice. Professor Emeritus at the University of Melbourne, Wallace-Crabbe has published over twenty volumes of verse and thirty other books. He lives in Melbourne, Australia. Philip Hodgins (1959-1995) was the most loved poet of his generation, whose life was cut tragically short. He is unique in his unflinchingly honest and mordant account of country life in Australia. In a vivid and lucid style, his poems reveal the complexities, depths, and urgencies of living at the edge of life and death. The author of six volumes of poetry, his work appeared in the U.S. in The New Yorker and The Paris Review. He lived in Victoria, Australia. Judith Beveridge (1956-) combines an intensity and clarity of vision with an unsurpassed fineness of language. As the critic Clive James notes, Beveridge’s work displays “unfailing dignity of movement and quiet splendour.” Whether in relation to the natural world around us or to our inner world of intellect and emotion, Beveridge’s poems call us to account, exalting our capacity for knowledge and insisting upon the pleasures—and responsibilities—of attentiveness. She lives in Sydney, Australia. The Deep North is a sensuous, richly imagined and luminously lyrical celebration of the intricate depths at the heart of life. Deemed "the brightest light to emerge in Australian poetry" in many years (Geoffrey Lehmann, Weekend Australian) Bronwyn Lea’s (1969-) work is a brilliant mapping of the overlapping regions of our sensual, psychic and emotional worlds. She lives in Brisbane, Australia. Daylight Saving demonstrates Robert Gray’s extraordinary capacity to see the world in luminous detail, rendering it with radiant intensity. Both philosophical and sensuous, this is a work of remarkable originality. Gray (1945-) has been hailed as “one of the contemporary masters of poetry in English” (Les Murray). He lives in Sydney, Australia. Orders and Customer Service: Tel: 800.233.4830.